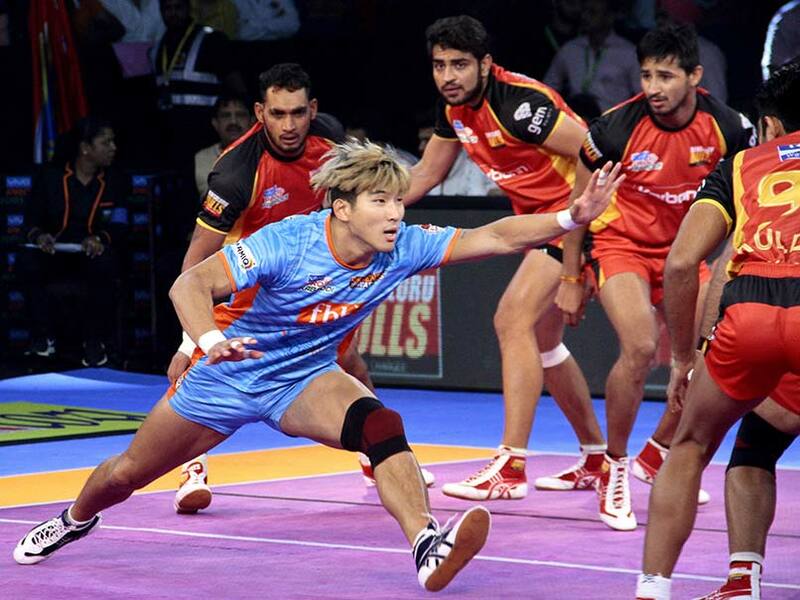 Bengal Warriors survived a second half scare as they beat Bengaluru Bulls 33-29 in the VIVO Pro Kabaddi League on Saturday. Maninder Singh made a crucial super raid in the dying minutes of the match as Warriors held on to a narrow win. Bengal Warriors defenders Ravinder Pahal and Mahender Singh scored five points each but were let down by raiders Rohit and Ajay Kumar. Harish Naik scored 11 raid points for Bengaluru Bulls. 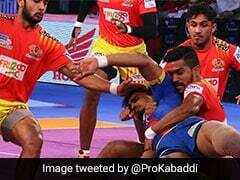 Surjeet Singh scored six points whereas Maninder ended with nine points for Bengal Warriors. Bengal Warriors made a flying start to lead 5-1 as Deepak Narwal scored three points in four minutes. Bengaluru Bulls raiders couldn't get into the match as they scoredjust one point to trail 4-8 in the seventh minute. Bengal Warriors inflicted an all out in the eighth minute to lead 11-4.